Next Sims Hill Shared Harvest events on 8th June: fun and a request for help! Greetings from Sims Hill! It’s been a busy spring so far. Thanks so much to everyone who helped assemble our brand new polytunnel on the Sims Hill plot! We have also completed drainage work that is hopefully going to help keep us much drier this year, planted crops under cover in the Feed Bristol greenhouse and out on the field, and we have even more ideas… But for now, a few words about some events where we will be showing up, telling people about the project, and asking them if they would like to join in! 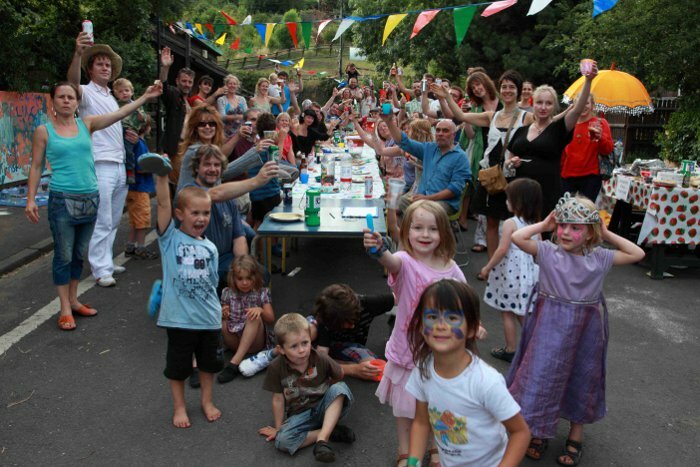 It’s time again for the fantastic St Werburghs Farm Festival, a car free day around St Werbs with local ethical stalls, samba, procession, a stage and wonderful local food. The twist this year is that they are particularly wanting to showcase local, ethical food, so they were really happy when we called. Apparently we are already mentioned in the programme! 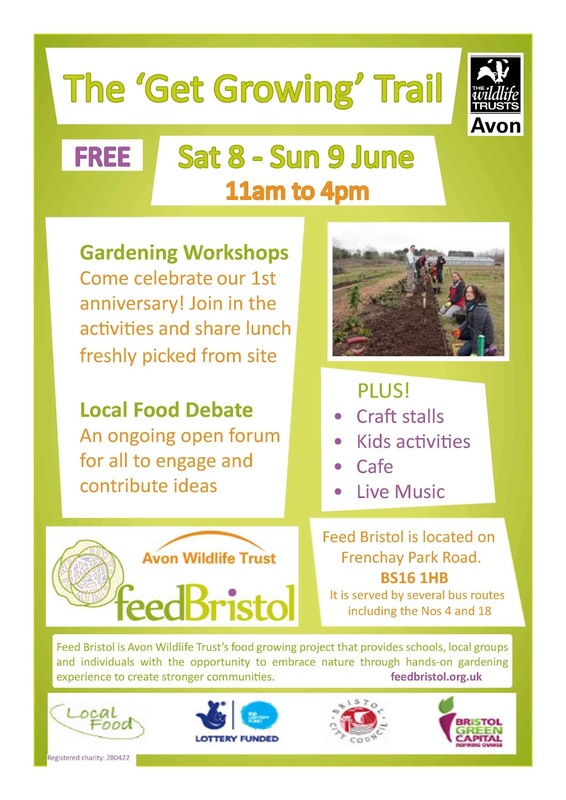 The thing is we’re pretty thinly spread this weekend, since we are already helping out on the Feed Bristol site on the Get Growing trail. So any members who have some availability, please could you help us out with a little time on Saturday 8th June? We need to set up at 9:30 for an 11:00 am start and the event goes on until 7 pm. A long day but possibly the most fun local event of the year. If you would like to offer to help out with the stall for a few hours within those times please call Ali on 07749 657 665. We need to have 50 full share equivalent members which means getting new members – let’s see if we can do that between the two events on 8th June! Sims Hill grower Tim Lawrence will be helping to lead a “Blue Finger walk” all around this fertile area of Grade 1 agricultural land, which historically was full of market gardens feeding Bristol, so if you are curious about where the Sims Hill plot is and what we are doing there, that would be the time to find out. Time for this to be confirmed, so watch this space or just show upon the day! This will be our first year anniversary! We want to celebrate in style by showing you what our project is all about. You will be taken on a journey through the site with workshops along the way, live music to set the scene and an informative local food forum to drop into. To set it all off we will have the Herbal and delicious cafe selling delights and freshly picked herbal teas from our plots. There will be a chef doing cooking demonstrations and and a big BBQ banquet from the site. Kids activities, arts and craft. Plenty to keep you all amused and entertained. Posted in Archive, News | Comments Off on Next Sims Hill Shared Harvest events on 8th June: fun and a request for help!